Safest method to unlock your Qtek. Switch between carriers ensuring constant service. 100% legal; maintains the phone's warranty. How to unlock my Qtek phone with doctorSIM? Once you've requested your unlock code in 3 simple steps, you will receive an e-mail with simple instructions explaining how to insert the code and permanently unlock your Qtek for use on multiple networks. Will I lose the warranty if I unlock my Qtek? Unlocking by IMEI does not void the cell phone's warranty. In fact, because you are typing in a network unlock code, no software downloads or hardware modifications are required. Your Qtek is in safe hands with doctorSIM. What does reported or blacklisted mean? Reports are an additional security restriction placed on the cell phone by the network carrier preventing it from working properly. If your Qtek has been reported stolen, lost or due to outstanding bills, you will need to contact the original operator for assistance. Once you have resolved the issue with them, you can network unlock your Qtek with doctorSIM safe in the knowledge that you can use it on any compatible GSM network in the world. Why should I unlock my Qtek cell phone with doctorSIM? Our IMEI-based unlocking services are recommended by the network carriers and phone manufacturers themselves. They are permanent, maintain the warranty and will be not be nullified by future software updates. And because our unlocking services are 100% online, you will not have to be without your Qtek for any period of time which would be the case at a local store. Is unlocking a Qtek cell phone from its network carrier illegal? No, network unlocking is perfectly legal. Consumers have the right to unlock their cell phone for use on multiple networks simply by inserting a different SIM card. I don't know the model of my Qtek. Can I still unlock it? Yes, you don't need to state the exact model of your Qtek as our instructions are valid for all Qtek models. The code we will send you will depend on the IMEI number (unique identifier), so double check you send us the correct IMEI by typing *#06# on the phone's dial screen. If I unlock my Qtek phone will it work on any network in the world? Once unlocked by doctorSIM you'll be able to use your Qtek on any compatible GSM network in the world as long as it has not been blacklisted due to loss, theft or non-payment. 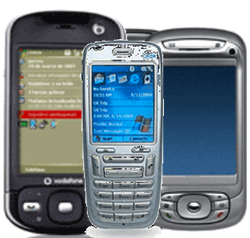 You will not be able to use your phone on networks which support CDMA technology such as Sprint or Verizon. How long does it take doctorSIM to unlock a cell phone? Delivery times vary depending on the make, network carrier and current status of the cell phone. The guaranteed delivery time will be displayed once you have selected the country and network provider. You will also be able to see the average delivery time of the last 20 similar unlockings once you have completed the online request form. Unlocking phones via IMEI is the safest and most reliable method. Your Qtek will remain unlocked forever even if you update the software. Fast unlock code delivery turnaround times. We have thousands of real and verified customer testimonials. No risk of damaging your Qtek cell phone. Over 10 years unlocking cell phones. No need to restore to factory settings or update your software to unlock your phone.